You can easily entertain guests or friends inside this 3403 Bay Star motor home by Newmar. With triple slide outs there is plenty of space throughout this model to easily move around! 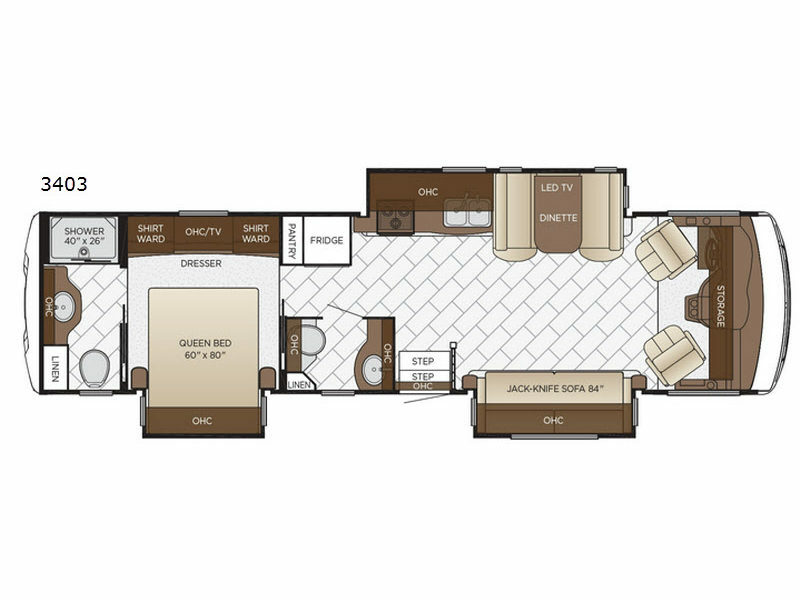 In the living area you can visit with your family and friends at the 84" jack-knife sofa, dinette, plus you will find that the driver and passenger seats swivel around for additional seating space. In the fully equipped kitchen you can easily prepare your family's favorite meals. You will also find a convenient half bathroom near the entry door, and in the rear there is a master bath!